The True Green Alliance is a non-government, non-profit and public benefit organisation that promotes caring for the earth and sustainable living practices throughout the societies and governments of southern Africa. It supports the sustainable use of living resources, and fosters the correct social and official government attitudes towards wildlife and its management. 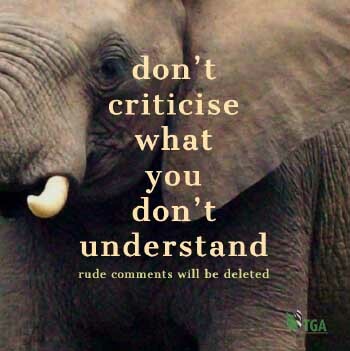 Our vision is to create a southern African (ultimately global) society that is properly informed about the principles and practices of wildlife management; that understands the wisdom of, and necessity for, the practice of sustainable utilisation of living resources (both wild and domestic) for the benefit of mankind; that supports animal welfare; and that rejects animal rights – the doctrine of which seeks to abolish all animal uses by man. 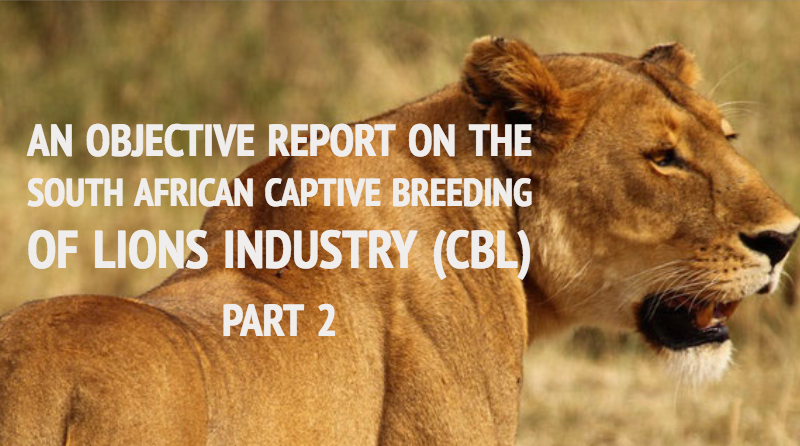 My interest in the CBL was sparked by the cataclysmic eruption that blew the South African Professional Hunting Industry apart – a process that started some two years ago; and that occurred, seemingly, because of the very existence of the CBL industry. A splinter group of the longstanding and much respected Professional Hunters Association of South Africa (PHASA) formed its own association which it called The Custodians of Professional Hunting and Conservation – South Africa (CPHC-SA). The Custodians immediately claimed the high ground stating that CPHC-SA was the only professional hunting association in South Africa that practices ‘ethical hunting’ – a stance which I could not, at the time, understand. Neels Geldenhuys, the owner and Chief Editor of the African Outfitter magazine, however, advised me that it was not the hunting of captive-bred lions, per se, that the Custodians had a problem with; it was the fact that the only way captive-bred lions could be hunted was by way of the put-and-take method. And they considered that put-and-take hunting was, altogether, ‘unethical’. This interpretation forced me to rethink the whole captive-bred lion-hunting issue. NB: ‘Ethics’ is a very private issue. It is something that exists between a person and his own conscience. It concerns an individual’s personal preferences. It is what a hunter does when he is hunting alone. ‘Ethics’ cannot be equated with a written list of the norms and standards that regulate the behaviour of people in a group. So, ‘ethical hunting’ is not really the right terminology to describe this elusive social value – but I do get the Custodians point as, I am sure, most readers will do, too! Neels has a small game ranch near Swart Ruggens in the North-West Province. On it, he has a small population of nyala – and a particularly nice trophy bull. That bull was born and raised on the ranch. It grew up on the ranch as part of a nyala family. It grew into maturity and became the dominant male; and it sired many baby nyalas. Eventually it was replaced by a stronger younger bull that denied him access to the females. So now, having passed on his genes and served his natural purpose, the older bull is surplus to the nyala population. Now is the right time, Neels told me, for that old nyala bull to be taken by a hunter. And I agree with him! THAT is how the hunting process should work. But there are many other ‘issues’ that I have had to consider, too. In the early 1960s I inspected game fences on Doddieburn Ranch just south of Bulawayo (in what is now Zimbabwe). They had been constructed by a team of American Fulbright scholars – Thane Rhiney; Archie Mossman and Ray Dazman – to prove the viability of commercial game ranching in Africa. Doddieburn, therefore, was Africa’s first commercial game ranch. I shook my head in dismay, however, when I learnt that hunting was to be the means of harvesting these animals. How can anyone hunt a wild animal inside a fenced enclosure, I thought (even though Doddieburn extended over many thousands of hectares)? Surely such a practice was not ‘ethical’! By 1991 game ranching had become a major factor in South Africa’s emerging wildlife industry. The Game Theft Act of that year, enabled private land-owners to legally own their own wild animals – to hunt and to buy and to sell them at the game rancher’s discretion – provided they were contained within ‘adequately fenced enclosures’. I have to admit, however, although the term ‘free-range’ has had to be abandoned (because of the fences), ‘fair-chase’ remains a reality. The truth is that the regularly hunted game animals that live inside those ‘adequately fenced enclosures’ have learnt how to avoid confrontations with hunters in many innovative and remarkable ways. I would go so far to say that it is easier to hunt a blesbuck on the wide open grasslands of South Africa than it is to collect one in a vegetated 50 hectare paddock. For three years I operated as a fully licensed professional hunter in the Eastern Cape. After my many years of hunting Africa’s ‘Big Seven’ under truly free-range and fair-chase conditions, however, taking rich foreign hunters on trophy hunting expeditions inside fenced enclosures eventually got to me. And I elected to leave the professional hunting scene. I first came across the term ‘put-and-take’ hunting in the 1990s when some game ranchers, each year, hunted their ‘bread-and-butter’ species – like impala, blesbuck, springbuck, zebra and wildebeest – to such low numbers they became non-viable as breeding groups. The ranchers, however, solved this problem by purchasing large numbers of these same species to restock their game ranches before the start of every next hunting season. I found this practice strange but innovative; and I grudgingly had to admit to its efficacy. Nevertheless, for a long time, it sat uncomfortably on my mind and on my heart. This was not ‘hunting’ as I knew it! Over the last 20 years game ranching in South Africa has changed in many ways; and the evolution has been rapid. The captive breeding of many very valuable game animals – like buffalo, sable, roan, tsessebe, nyala and a whole lot more – has made many once-very-scarce animals relatively plentiful; and they are all available for hunting. Many game ranches – since the 1990s – have expanded their horizons as adjacent land-owners have joined forces and dropped their adjoining fences. This turned many small game ranches into fewer but much bigger ones. So, slowly but surely, the term ‘free-range’ is returning to the South African game ranch/hunting scene. The term ‘put and take hunting’ has also taken on a new meaning! Specific individual animals – with purposefully-bred long horns – are being offered for sale to overseas hunters. And the hunters are being invited to what amounts to a ‘darting ceremony’ when the animal is immobilised and the horn length measurements are confirmed. Whereafter the animal is released and it is ‘hunted’ a day or two later. It is to this procedure that the Custodians object most vehemently. And I understand their chagrin. If there is such a thing as ‘hunting ethics’ I would say that this kind of behaviour is ‘unethical’. But it is not illegal. I say again: This is not ‘my kind of hunting’. But I have had to concede that evolving change is inevitable. NB: I have ascertained that this kind of put-and-take hunting accounts for, probably, only 5 percent of across-the-board hunting activities in South Africa. NB: Measuring horn lengths of specially bred trophy deer and elk before they are sold and hunted, however, is apparently, common practice in some parts of America (Texas and Colorado). All over the angling world trout, black bass and many other species of fish are captive-bred in hatcheries and millions of well-grown captive-bred fish are, every year, released into wild waters for anglers to catch. Very large brood-fish from the hatcheries – when they are nearing the end of their productive lives – are also released into dams where they can be caught by anglers for a very high price. And such angling opportunities support massive tourism industries in many remote mountain-resort areas right across the northern hemisphere. So, so there is social acceptance of this practice. In England 50 million captive-bred pheasants, and 10 million captive-bred partridges are released every year into the British countryside; there to be shot by some 500 000 ‘guns’ (hunters). This business contributes over two billion pounds sterling a year to the British GDP. The same sort of thing happens in Mexico, America, Canada, Europe and Russia. The hunters know they are shooting captive-bred birds but they are happy to participate because they are satisfying their instincts; and because shooting these birds on-the-wing enables them to practise and hone their shooting skills. So there is, again, a general social acceptance. There are, today, some 10 000 game ranches on which tens of thousands of South Africans hunt all kinds of game animals for their meat every year; and on which overseas hunters are quite happy to shoot ‘representative’ (average-sized) trophies. These game ranches cover three times as much land as that contained in the country’s national parks; and they carry 16 million head of game animals compared to 6 million in the national parks. So the private game ranches contribute greatly to South Africa’s overall wildlife conservation effort. Put-and-take hunting – of both kinds – undoubtedly occurs with an across-the-board variety of some very huntable game animals; but not all game ranches are involved in put-and-take. Lions are bred commercially for their bones for the lucrative Far Eastern traditional soup market, and as trophy animals for hunting on a put-an-take basis. All these practices are legal. Put-and-take hunting, whenever and wherever it occurs, is not a crime? This, then, begs the question: Is the fact that some professional hunters don’t want to be identified with CBL put-and-take hunting – because it goes against their high moral standards – reason enough to stop such practices? I don’t think so! There are a great many more hunters who are quite happy to buy and to shoot these put-and-take animals – including lions. Under these conditions, however, it might be better to call such hunters ‘collectors’ because THAT is what they really are. Nevertheless, it is patently unfair to single out CBL for condemnation when the actual target is NOT CBL at all, but the general hunting practice of ‘put-and-take’. This fact, however, exposes the whole world to equal criticism. I am one of a few people alive today who have enjoyed 25 years of exciting, extensive and intensive, free-range/fair-chase big game hunting of the kind that occurred only in yesteryear’s colonial Africa. And I know that there are many hunters, all over the world, who yearn for a return to those halcyon days. But those days are gone. Gone forever! Nevertheless, there are still a few places where facsimiles of the old Africa persist and those hunters, who have access to those cherished areas, guard them with their lives. And I can understand that! Namibia is one such place where something of the old Africa can still be found. It is a country where present-day Teddy Rooselvelts, Ernest Hemmingways and Robert Ruarks now flock to experience the ultimate hunting ideal while it lasts. But, even in Namibia, the illusion will not last forever; even now it is of very limited consequence when compared to the rest of Africa; it will always be over-subscribed; and that fact and the inevitable growth of Namibia’s human population, are the two things that will ultimately destroy the current high qualities of that country’s very special wilderness-hunting experience. I acknowledge Namibia’s blessings but suggest that comparisons are odious. Many countries in Africa have their own hunting attractions which, given an open field to play on, will be used to the full extent by the world’s multifarious hunting fraternities. The fact that each African country has its own – different and unique – hunting attractions is the real fact that should be celebrated. There are no more than 10 truly wild lion hunts available in South Africa every year which fact makes the wide open spaces of East Africa an attractive hunting venue for purist professional hunters like the Custodians. But the East African situation will also not last forever – as we discovered last year when a misguided and unnecessary demand by the US Fish and Wildlife Service caused half of Tanzania’s prime hunting areas to revert to subsistence agriculture. And it is my belief that this will happen again and again whenever and wherever Western governments interfere with Africa’s wildlife affairs. The whole world needs to understand that, in Africa, if a wildlife asset pays, it stays. If it doesn’t it is replaced with something that does pay. This same scenario pertains to Zambia, Zimbabwe, Mozambique and Botswana – which completes the current African wild lion-hunting circle. So, we need to have a closer look at CBL. But that, in itself, would be a meaningless exercise without a proper appreciation of the facts surrounding Africa’s human population dynamics. NB: UN statistics tell us that in the year 1900 the human population in Africa south of the Sahara Desert was 95.9 million people; that in the year 2000 the figure was 622 million; and that the prognosis for the end of the current century (2100) is over 4 billion. The whole world laments the fact that during the 20th Century, wild lion populations all over Africa disappeared at an escalating rate. The anti-hunter animal rightists studiously quote the figures insinuating that hunting was the cause. They avoid to make mention of the fact, however, that during this same period of time Africa’s human population increased by more than 600 percent. Common sense tells us, therefore, that lion populations declined not because of increased hunting but because expanding human populations have permanently occupied more and more of the lions’ vital home-range habitats. The explosion of Africa’s human population continues into the 21st century. We can, therefore, expect more wild lion population declines in the years ahead. Indeed, by the time 2100 comes along, it is highly unlikely that there will be any wild lions left outside the national parks; and those living inside the national parks will be under ever greater pressure from increasingly large human settlements just outside the park boundaries. The next dominoes to fall will be the national parks themselves. I predict that – if present trends continue – the only animals that will not be extinct in Africa by the year 2100 with be domestic animals: cattle, sheep and goats. And why would that be? Because Africa’s rural people depend on them for survival. Africa’s people cannot afford to have their cattle, sheep and goats become extinct. Conversely, the ‘wild’ wild animals of Africa will become extinct because they are being denied the opportunity of bringing sustainable survival benefits to Africa’s people. Surely the expected survival of domestic animals into the next century – because they benefit the survival of Africa’s rural people; and the expected concomitant demise of our wild animals – because they provide NO benefits to Africa’s rural people – tells us something very important? Elephants, rhinos and lions are infinitely more valuable that cattle, sheep and goats, and if they were to replace cattle, sheep and goats as the providers of the GREATEST survival benefits to Africa’s rural people, it would be the wild animals of Africa that will survive, not the cattle, sheep and goats. So, why isn’t this happening? It is not happening because the Western World is blocking Africa’s progress in this direction in every way possible. Left to our own devices, Africa would MAKE this happen; but we can’t fight the might of the United States, or of the European Parliament, who seemingly don’t want to see Africa and Africans benefiting from their own wildlife. The Western World looks upon Africa’s wildlife as being something of a sacred cow – that has to be protected from all harm no matter what! Africa cannot sell its rhino horn and elephant ivory no matter how renewable those commodities are; or how sustainable their harvest is. And Africa has no say in the matter. The accredited Western animal rightist NGOs at CITES have ‘captured’ the convention. It is THEY who dictate what trade can happen – or what trade will not happen. And the secretariat seems to be completely unconcerned that these mavericks are ‘buying votes’ at every meeting of the parties – which makes CITES a despicably corrupt institution. Outside of CITES, Western societies make demands on their governments to deny the sustainable-use of wildlife in Africa by way of continuous petitions. Whoever heard of anything so nonsensical as having scientific wildlife management decisions being made by way of public referendums? Western governments, nevertheless, listen to the petitioners and then make unconditional demands on the countries of Africa – based upon the uninformed opinions of their own urban people. Nobody listens to what Africa wants and needs; and all the while Africa’s world of wildlife is slipping into an ever bleaker state of anarchy. Furthermore, the road ahead looks very bad because emotional, irrational and uninformed public opinion is now the principle force dictating anything and everything that happens to nature all around us. Let me now wriggle out of this political quagmire! And let’s get back to Africa and its lions! There is absolutely no reason why purist professional hunters should not take their clients on ‘ethical wild lion hunts’ for as long as that facility is available to them. I will back them all the way because no matter how anyone elects to influence the ultimate outcome for Africa’s wild lions, it will make no difference. Unavoidably, wild lions are simply going to become fewer and fewer until they die out. There is also no reason why captive-bred lion hunting should also not be undertaken. The irony is, however, it will be the CBL Industry that will endure simply because it exists inside its own little microcosm. Many people in Southern Africa were horrified when I did not immediately and out-rightly condemn the CBL Industry. They thought that because I had enjoyed a truly glorious African big game hunting past that I would not accept anything less-than-the-best for the future. But I have something that most other people do not have. I have a hunting history in Africa that extends back more than 60 years, and I have experienced – witnessed, lamented and cried-over in bed at night – the deteriorating circumstances that time has constantly brought to Africa’s wild landscapes. And that enables me to ‘see’ what others cannot see. Africa’s wildlife has no future on our present road out of the past; unless we are prepared to ‘make things happen’; to ‘make silk purses out of sow’s ears’; and to properly manage those practices, processes and ideas that we KNOW will work. And one of those is CBL. Simply put: because CBL exists completely inside its own little world, it will not be affected by Africa’s human population explosion. CBL lion hunting may not be ‘best practice’ and it may offend many people – as does the shooting of 50 million captive-bred pheasants in England every year – but IT DOES WORK; and it will continue to work well beyond the year 2100. Society, therefore, should seriously consider why it should agree to the destruction of something that works when, by the end of this century, all other lion conservation practices will have crumbled and wasted away? It is only visions like this – even though the paradigms may be at variance with current acceptable norms – that can pave the way into the future with any surety of success. Acknowledgements: I wish to acknowledge the fact that Mrs Elma Britz, herself a TGA Director, accompanied me on the TGA’s CBL tour in June 2018; and that she contributed significantly to the compilation and editing of this article. I also wish to state that this article – in the face of massive opposition – required a great deal of courage to write. But I was compelled to write it because it reflects, to the best of my ability, the truth about CBL. Trophy Hunting – Crucial to Conservation. I read the artcle/report and find your info accurate informative and HONEST. and organisations.I trust more people will see the light in time and urge you to continue your work in persuite of The TGA objectives and the good of African Wildlife and the Hunting Industry. Kruger Park’s biological diversity is in serious trouble! Part 5.